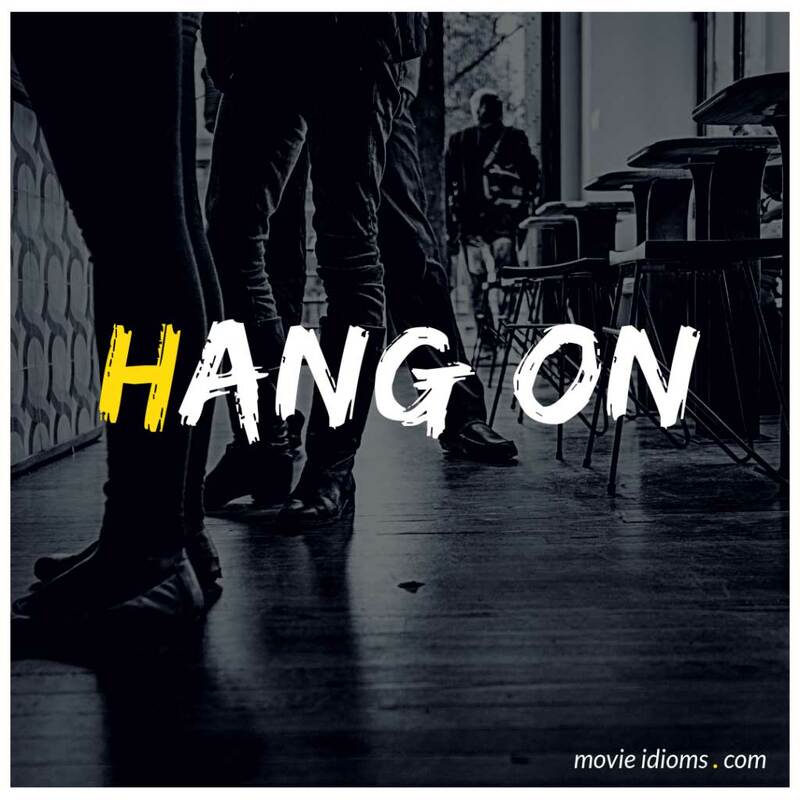 What does hang on mean? Gretchen: In addition to the $1,000 you’d already put up? Mark Zuckerberg: Hang on. I’m just checking your math on that. Yes, I got the same thing. Mom: Six dollars for a slice of pizza! That’s like a thirty dollar meal! Who comes in here that can afford that? Diego: My boss says global warming iced out the tomato crops this year, so can you just please stop yelling at me? Jeff Pickles: Can you hang on a sec? …Excuse me. Whatever anybody wants for the rest of the day is free. Diego: Like, start a tab? I don’t… don’t think I’m allowed to do that. Jeff Pickles: Sure you can. Give this to yourself. It feels wonderful. Son: Thank you Mister Pickles! Jeff Pickles: Nahh. Feeding it.